Imagine Dragons is an American alternative rock band from Vegas. They gained exposure after the release of their debut studio album, Night Visions, in September 2012. Since then, they have gone on a world tour, and gained exposure on major late night shows like The Tonight Show with Jay Leno, and many others. Billboard named them "The Breakthrough Band of 2013", and Rolling Stone called their single "Radioactive" "the biggest rock hit of the year." 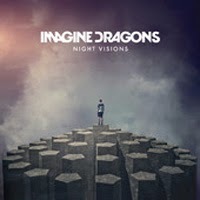 Imagine Dragons’ full-length debut, “Night Visions,” has sold more than a million-and-a-half copies since its September 2012 release and is the third best-selling disc of the year only behind albums by Justin Timberlake and Bruno Mars. Two singles from the disc, “It’s Time” and “Radioactive,” have sold 2 million and 6 million copies, respectively, and on the road, the band has been selling out bigger and bigger venues all year long. Imagine Dragons play their biggest Vegas show yet at the Life is Beautiful Festival.